Manchester Corinthians ‘B’ play their second session of the GMWF Over 60’s Spring League programme tomorrow, 18th April, at the Heywood Sports Village. The report on the GMWF Over 65’s Spring League April fixtures can be read HERE. Manchester Corinthians 65’s play their second session of the GMWF Over 65’s Spring league on Thursday 11th April at the Heywood Sports Village. The report on the GMWF Over 60’s Spring League April fixtures can be read HERE. Manchester Corinthians ‘A’ play their second session of the GMWF Over 60’s League programme tomorrow at the Heywood Sports Village. The report on Manchester Corinthians ‘A’ and ‘B’ teams fixtures in the March sessions of the GMWF Over 60’s Spring League is HERE. The report on Manchester Corinthians WFU National Tournament fixtures for the 60’s and 65’s versus Man City is now online HERE. Manchester Corinthians ‘B’ start their GMWF Over 60’s League programme on Thursday 21st March at the Heywood Sports Village. The report on the GMWF Over 65’s Spring League March fixtures can be read HERE. Manchester Corinthians 65’s start their GMWF league campaign on Thursday 14th March. The report on the GMWF Over 60’s Spring League March fixtures can be read HERE. Manchester Corinthians ‘A’ start their GMWF Over 60’s League programme tomorrow at the Heywood Sports Village. Twelve Corinthians had a great week in Benidorm, pity about the football. Read about it HERE. Manchester Corinthians are off to Spain next week to compete in the Moraira Tournament. Some good news after all the winter weather disruptions. We have received a grant from the Duchy of Lancaster Benevolent Fund which will go towards the purchase of rain tops for all players. Manchester Corinthians 2019 Preview can be read HERE. Manchester Corinthians 2018 review can be read HERE. The report on a very disappointing end to Manchester Corinthians participation in the GMWF Over 60’s Autumn League is now online HERE. Manchester Corinthians have a new sponsor. Many thanks to HRA Pharma, manufacturers of Compeed, excellent products that actually work. I have used them myself and fully endorse them. Manchester Corinthians are playing in the fourth and final session of the Greater Manchester Walking Football Over 60’s Autumn League on Thursday 6th December at the Heywood Sports Village. The report on the Wigan Over 60’s Tournament win is now online HERE. Manchester Corinthians won the Wigan Over 60’s Walking Football Tournament on Thursday 22nd November. Manchester Corinthians are entering two teams in the Wigan Over 60’s Tournament on Thursday 22nd November. Some of the Manchester Corinthians players enjoyed a curry night at the Westwood East on Friday 9th November. The report on Manchester Corinthians Greater Manchester Walking Football Over 60’s Autumn League third session on 1st November is now online HERE. Manchester Corinthians are playing in the third session of the Greater Manchester Walking Football Over 60’s Autumn League on Thursday 1st November at the Heywood Sports Village. The report on Manchester Corinthians day at the Cheshire Walking Football Autumn Tournament is HERE. Manchester Corinthians had a good day today, 11th October, in the Cheshire Walking Football Autumn Tournament. Our two Over 60’s teams finished 1st and 2nd in the Over 50’s league and the Over 65’s finished runners up to an impressive Leggy Mambos. Report to follow. 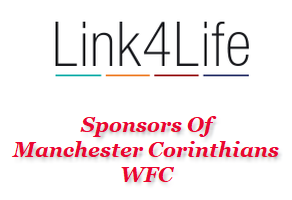 Manchester Corinthians are entering three teams in the Cheshire Walking Football Autumn Cup Tournament, played at the Cheshire FA Football Centre, Northwich on Thursday 11th October. The report on Manchester Corinthians Greater Manchester Walking Football Over 60’s Autumn League second session on 4th October is now online HERE. Manchester Corinthians are playing in the second session of the Greater Manchester Walking Football Over 60’s Autumn League on Thursday 4th October at the Heywood Sports Village. Manchester Corinthians won the Over 65’s National Tournament Grand Finals League 2018 but lost the Cup Final 1-0. The report is now online HERE. Manchester Corinthians are playing in the Grand Finals of the Over 65’s National Tournament on Sunday 30th September in Cirencester. Manchester Corinthians played in the Over 60’s National Tournament Grand Finals on Sunday 23th September. The report is now online HERE. Manchester Corinthians are playing in the Grand Finals of the Over 60’s National Tournament on Sunday 23rd September in Nottingham. Manchester Corinthians played in the Martin Dawson Memorial Trophy 2018 on Sunday 16th September. The report is now online HERE. Manchester Corinthians are playing in the GMWF League Martin Dawson Memorial Trophy on Sunday 16th September at the Heywood Sports Village. We are drawn in a very strong Group A, so it will be a tough task to reach the finals. The report on Manchester Corinthians Greater Manchester Walking Football Over 60’s Autumn League debut is now online HERE. Manchester Corinthians made their debut today, 6th September, in Division 3 of the Greater Manchester Over 60’s Walking Football Autumn League. With two wins and two draws we top the division by three points.